Whatever your needs, you can depend on our knowledgeable health care staff to provide the highest quality of service and advice. Our dispensary staff of pharmacists and dispensary assistants is dedicated to providing an exceptional level of professional care, the same level of care you will find throughout our store. While our dispensary is the core of our business, we also offer a wide selection of home healthcare and frontshop products. 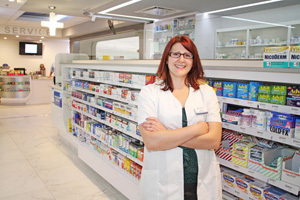 We welcome the opportunity to show you what independent community pharmacy is all about!